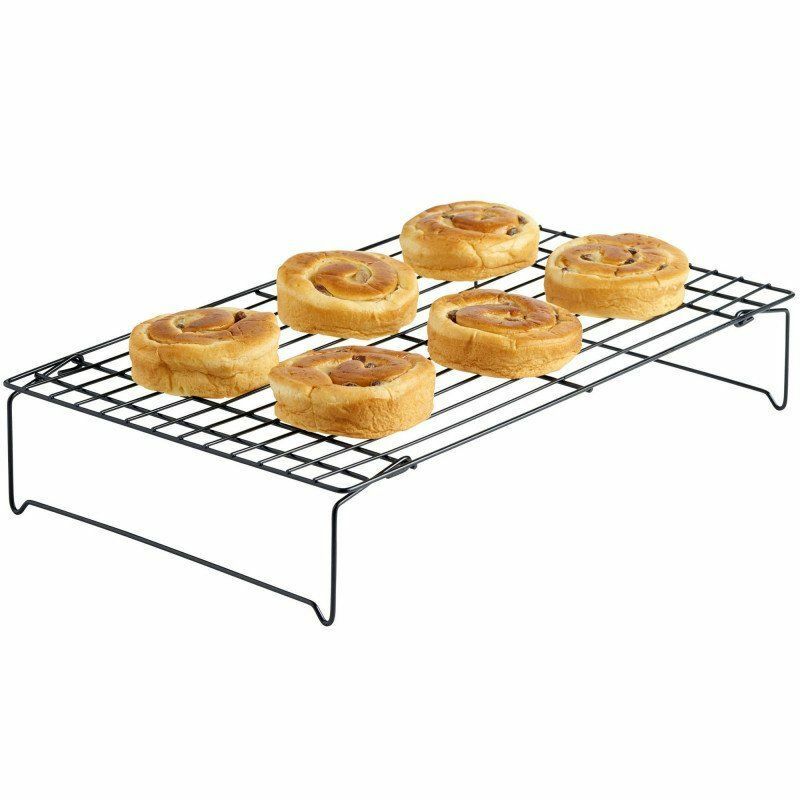 This three-tier cooling rack provides a safe place for fresh-out-of-the-oven desserts to settle while also fulfilling another popular baker's demand-space efficiency. The stackable grids each measure a generous 15-7/8 inches by 9-7/8 inches and can be used together for big jobs or taken apart when only one or two are needed. Crafted with narrowly spaced steel wires, the grids securely hold even small items without letting them slip through the cracks while allowing air to flow around food freely. The nonstick coating also releases food smoothly and cleans easily in the dishwasher. With wide-set, stable legs, this cooling rack stands strong even under heavy items, yet is easily collapsible for flat storage in between baking sessions. Simple, reliable, and effective, the rack is an essential member of any kitchen. Cool 3x the cookies using the same amount of counter space. 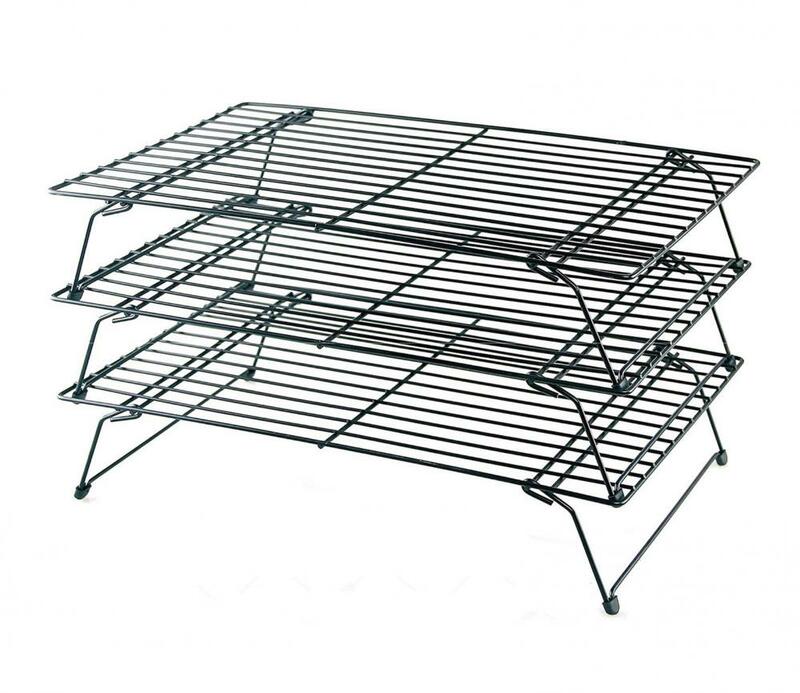 This collapsible cooling rack stacks 3 cooling racks high. 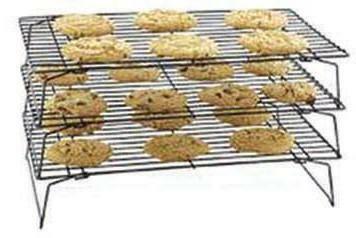 Stackable cooling racks can be used individually or stacked on top of one another. Collapsible legs allow for flat and convenient storage. Each 15.8 x 9.75 x 3 inches. 15.8 x 9.75 x 9.75 inches. Looking for ideal Cake Cooling Rack Manufacturer & supplier ? We have a wide selection at great prices to help you get creative. 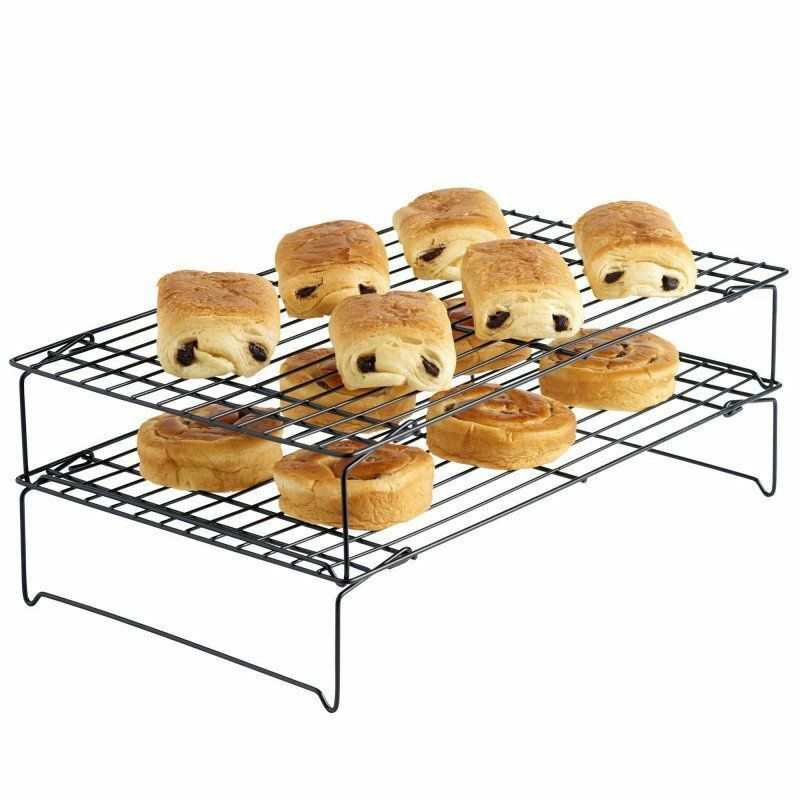 All the Baking Rack are quality guaranteed. We are China Origin Factory of Baking Cooling Sheet. If you have any question, please feel free to contact us.